It’s been way too long since I did a cross stitch project! 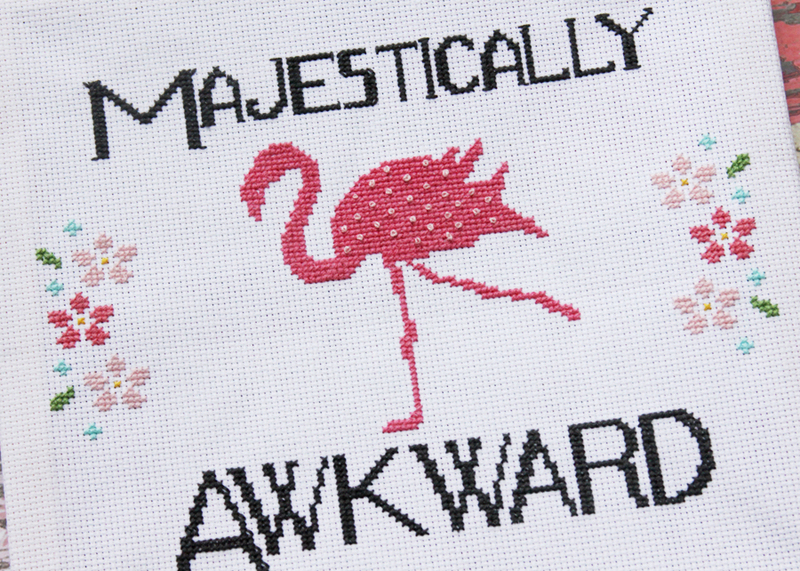 I had so much fun stitching up this Majestically Awkward Fun Flamingo Cross Stitch over the last few weeks, it was a fun relaxing holiday project. Today I’m sharing the free pattern today! 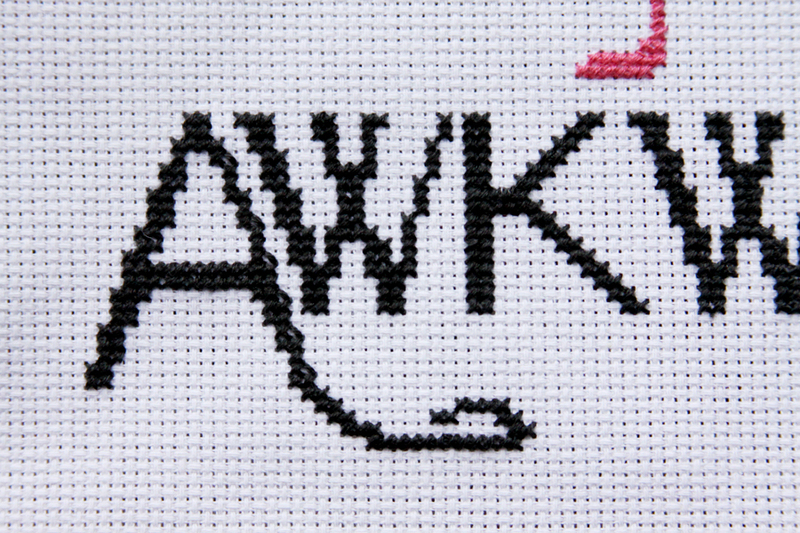 I made it on the Bucilla 10″ cross stitch blank – it was super easy. The blank comes with 14 count Aida all set up on a wood stretcher board. So you don’t need a hoop or anything and it’s all set for stitching. I thought this pattern was so fun! 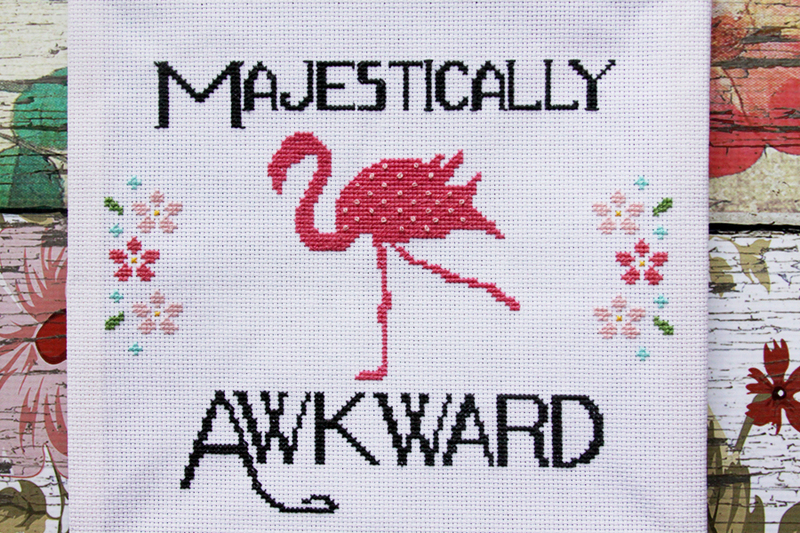 I’ve seen the phrase around on t-shirts or mugs and thought it would be perfect for a flamingo cross stitch. I hope you have fun stitching it up! The pattern is in four pages. Trim the pattern along the edges and tape together following the overlap markings. Before starting, count the blank to verify the thread count. Mine was 4 stitches taller than 140 so I adjusted my pattern accordingly. You might need to do the same depending on the blank. I also recommend being careful with the blank – make sure you don’t stretch out or distort the fabric in storage. Because of the stretcher board holding the fabric you can’t tighten it if it becomes stretched out. 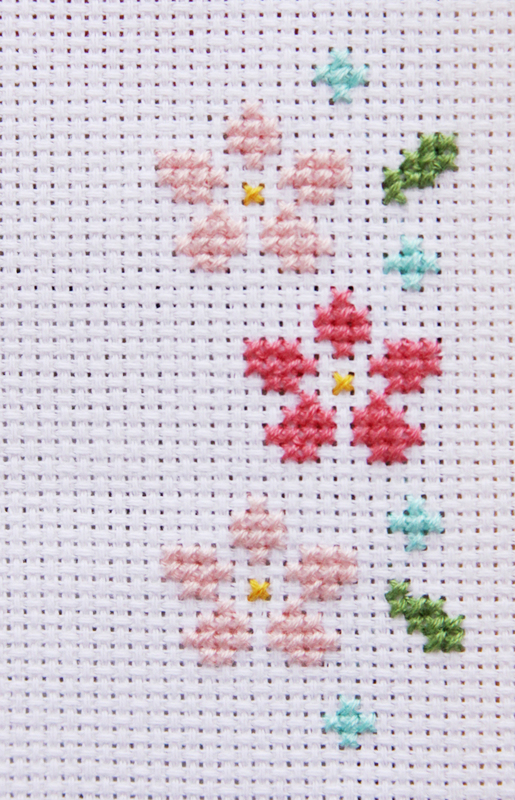 The stitches used are all basic cross stitches, half stitches and French Knots. Stitch the design according to the pattern, using the colors on the pattern as a guide. The flowers are stitched along the sides – feel free to change up the colors to match your decor! 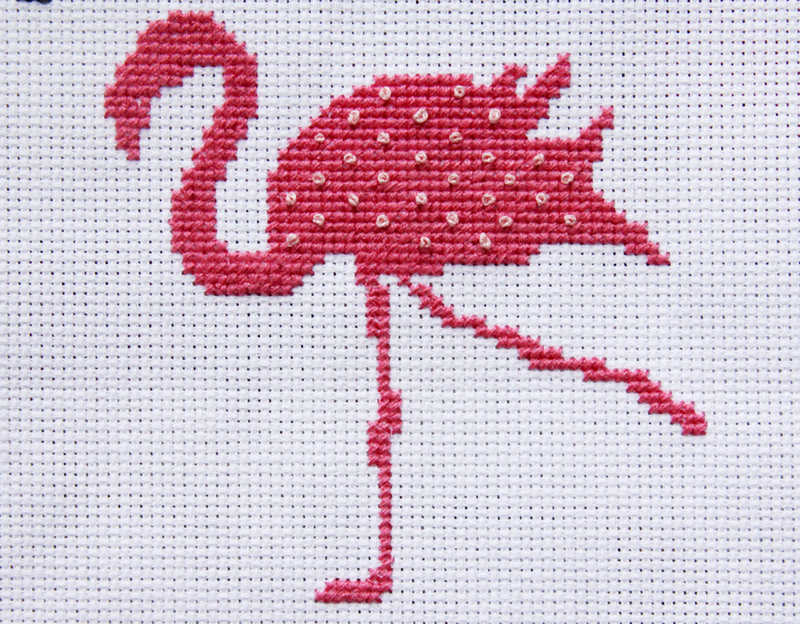 I have added in a few scattered French Knots in the body of the flamingo. It looks cute without these as well so if French Knots aren’t your thing you can leave them off. Once you’re all done stitching, your project is all ready to hang! The wood stretcher boards make it so easy. How thoughtful to send us a project to make us smile. We are all awkward at times and projects like this keep us grounded. This is totally adorable!!! I am looking forward to making this as I am not quite graceful as a gazelle, but I love flamingos! This is SO me. And on my to do list is the flamingo quilt you posted last year. Easy design but so much flexibility to make it my own — I found some sparkly fabric I can’t wait to cut into little squares. Thank you for some great projects! Yay Rachel! I’m so glad you like the projects! Thanks! I love so many projects you post, but I don’t sew much. 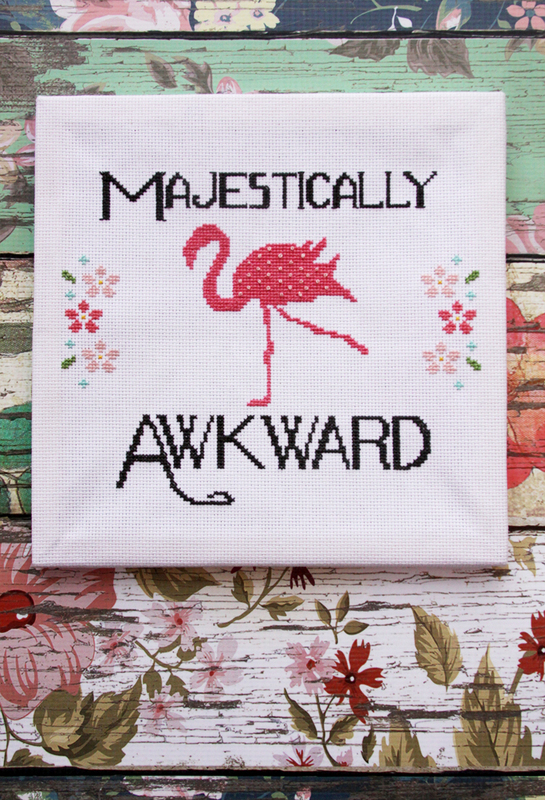 However, I am addicted to cross stitch and flamingos are one of my favorite things to stitch. Thank you for a wonderful chart. This is fantastic! I have the perfect friend in mind to stitch for. Thanks for sharing. 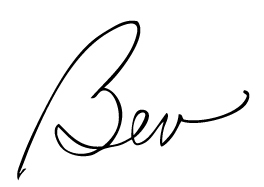 Hi Bev, happy 2018! 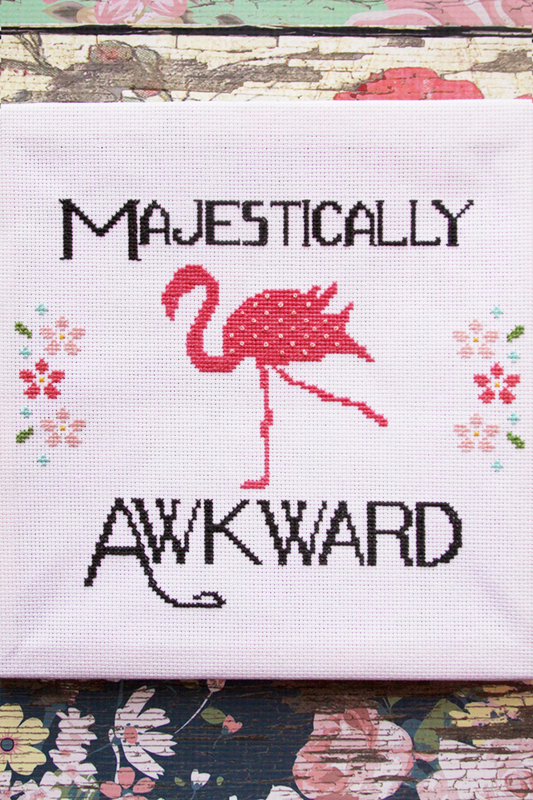 Love this cross stitch, and never saw that crocheted flamingo in 2017, so please drop by craft schooling Sunday, as the party is back on! hope to see you there and all the best in 2018! Beautiful, but I am more interested in knowing how the wood behind it was done?